RAFM Miniatures has a new model with a bit of a sentimental backstory to it: the Robert Smith memorial figure. 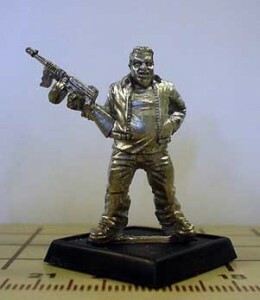 In April of this year we were contacted by Chris Smith, Chris informed us that his brother had passed away suddenly and asked if we could produce a miniature for inclusion in the Modern Day Heroes line. Chris and his brother Robert have kindly supported us over the years with great paint work on our ranges and we readily agreed to add his brother to our Modern Day Heroes line. We hope that it is a good likeness and a fitting memorial for a fellow gamer, painter and brother.